A home is something most of us have the luxury of taking for granted but for many it is a grim struggle to obtain what should be a basic necessity. Stories for Homes is a collection of witty, poignant, funny and heartbreaking short stories by fifty five authors, both established and emerging, reflecting the connection between the immediacy of housing crisis and the stories people tell about their lives around and within it. Volume Two of the anthology includes stories, poems and flash fiction and again all proceeds will be donated to Shelter, the charity for housing and homelessness. 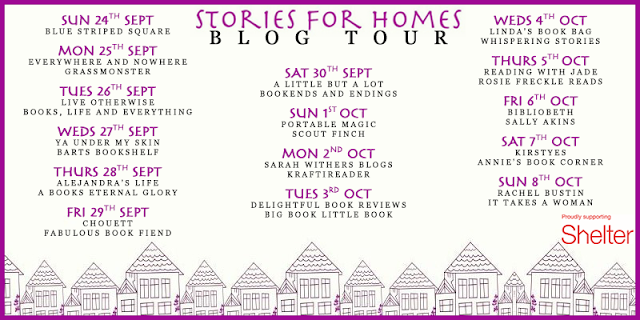 Today it is an honour and a pleasure to be taking part in the Stories for Homes blog tour, showcasing this truly marvellous book - not only are the stories wonderfully well written, including some truly talented authors in this collection, with all proceeds from Stories for Homes going to an amazing cause: Shelter, a UK charity that assists with housing issues and homelessness. This particular volume of Stories for Homes is dedicated to those affected by the horrendous Grenfell Tower fire. Inside Stories for Homes there are fifty five tales, told through a few different storytelling methods, with something for everyone and every mood - comforting stories, uplifting ones, melancholy tales, stories with humour weaved in, those with happy endings and more. The selection of writers within this story collection is phenomenal; I found myself enjoying each and every piece of fiction, for different reasons, ultimately concluding my read with a five star rating. Depending who you talk to, home will have a different meaning and feeling, something which is greatly highlighted in this book. That, and the fact that home isn't always an idealistic physical thing. 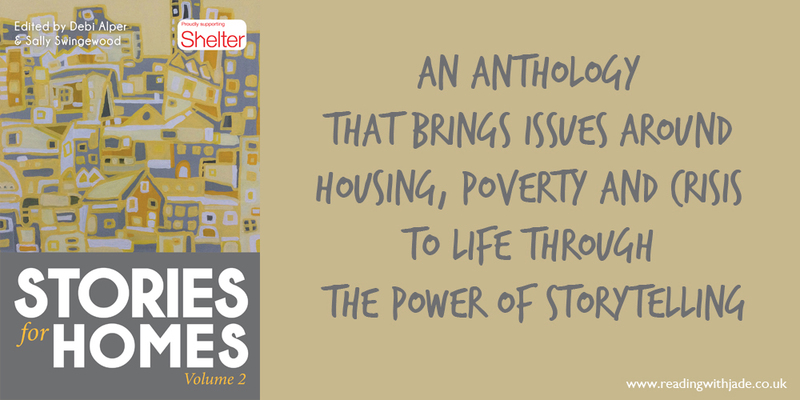 Stories for Homes: Volume 2 is a raw and emotive collection of written works, bringing to light issues surrounding housing and home, all for a good cause... I couldn't recommend this book enough! 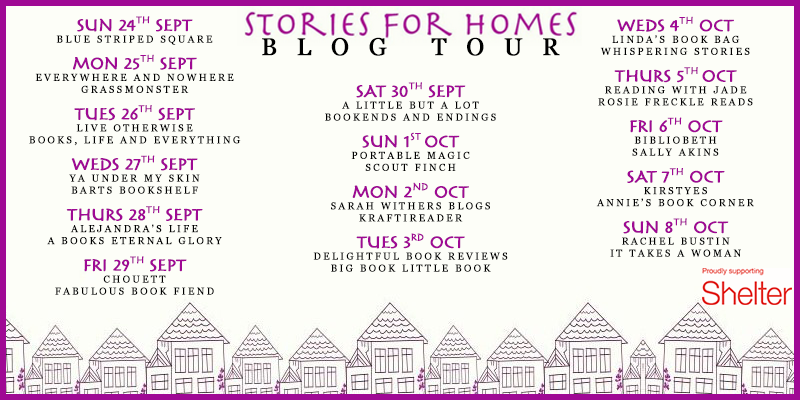 Want to keep up with the Stories for Homes Blog Tour? I hope you are able to purchase Stories for Homes - I rarely rate story collections five stars, but it is well deserved here.